Natural subjects have long been the inspiration for art, poetry, prose, and music. In fact, human interaction with the elements and the environment might very well be characterized as one of the most ancient human experiences. It is not hard to imagine nature or the seasons therefore being the impetus for the earliest forms of artistic expression. The seasons, and their characteristic weather patterns, flora and fauna, and accompanying human endeavors, have been treated to countless portrayals in the arts for thousands of years. There is perhaps no better medium than music to characterize the visceral experience of a storm, the capriciousness of a blossom, the sweltering of a summer day, or the potential energy of an icicle. The 17th century saw a great outpouring of “programmatic” music. But, while programmatic technique formed a common thread, it was by no means the only or even the dominant form. The popular Italian and Transalpine Le Quattro Stagioni was typically a much more abstract meeting of sacred and secular themes. Common compositional styles and devices such as imitative or fugal writing certainly stand on their own. Further, the driving force of much of Baroque music was the necessity to “move the affections”—literally, to stir up an emotional response in the listener or the player. In some cases, a program might intensify this goal, whereas in others it might actually get in the way, or even cheapen the affect. In yet other cases, a name implies an affect in a more abstract or subtle sense. Several of the works featured on this disc fall into this category. Of course, by the 19th century, programmatic themes had become a part of the fabric of music and culture—Berlioz and Wagner, for example, used thematic characters (leitmotif) to express subplots beneath the overt action taking place on stage or in the orchestral texture. While this was not a new practice, by this point it was so much a part of every level of culture—a culture that later spawned Freud—that it also inspired Brahms and Schoenberg as a part of a significant movement against the use of music as secondary to a plot, or as something that is merely representative of tangible actions or thoughts. It is therefore no surprise that Antonio Vivaldi's ubiquitous Four Seasons–perhaps now the most recognizable piece of classical music in history—is a marker in a fertile continuum of works of this nature, which includes composers from James Oswald to Joseph Haydn and Franz Schubert. It is well known and often referenced that Antonio Lucio Vivaldi spent the great majority of his career teaching at the Conservatorio dell'Ospedale della Pietà, a music school for girls within an orphanage in Venice. He began work at the Ospedale in 1703 and remained under contract with them off and on for the next thirty years. In 1709, the board of directors did not renew his contract, but soon realized that they missed him and brought him back just a year later. By this point, however, Vivaldi's career outside of Venice was blossoming. During the frequent touring demanded of his international career, he was required to write a concerto or major work every two weeks for study and performance at the school by their renowned orchestra, even while his schedule took him away from Venice. Thus, Vivaldi's output includes some 500 concertos! Most of these concertos are the work of a very adept composer doing what he had to do to keep his employer happy. A smaller portion of them, however, were commissioned by courts or patrons throughout Europe for Vivaldi to play himself as his career brought him to numerous international destinations. These are the concertos published in Vivaldi's important collections, such as La Cetra, and Il Cimento dell'armonia e dell'inventione, and they contain some of his most inventive writing. In 1718, Vivaldi moved to Mantua, where he was offered an enticing job, and where the surrounding countryside and also a set of paintings by Marco Ricci inspired Le Quattro Stagione, with a programmatic violin concerto for each season that forms the first four concertos (Op. 8 nos. 1-4) in his 1723 publication Il Cimento dell'armonia e dell'inventione (The Contest Between Harmony and Invention). Vivaldi likely himself wrote the accompanying sonnets for each concerto. Frozen and shivering in the icy snow. With one’s teeth chattering through the cold. Whilst outside the rain soaks everyone. And go carefully for fear of falling. Until the ice cracks and opens. This is winter, but it brings joy. L'inverno opens with frozen and shivering, icicle-like eighth notes in the orchestra. The solo violin launches from this texture like the “blasts of a terrible wind.” Stamping feet in the orchestra quicken into a teeth chattering motif that pervades the movement. The Largo movement finds us indoor, resting by a warm, crackling (pizzicato) fire. The solo violin plays us a warming, carefree melody, and we also hear the ginger steps of those outside in the icy cold. The finale opens with the solo violin sliding on the ice, hastily running and slipping terribly. The orchestra joins in on the frictionless fun and all join together, eventually seeming to find footing only as a terrible crack of the ice explodes in the solo violin. Suddenly, a new theme in the relative major unfolds—this one nostalgic, sweet, hopeful, springing forth the violin into a windy tune. The winds climb the sky, turning into a ferocious battle, which the orchestra soon joins for a tumultuous but joyful ending. While the following concerto in Il Cimento (Op. 8, no 5) is no longer a part of Le Quattro Stagione, it indeed carries on the theme. La Tempesta di Mare depicts—as the title suggests—a formidable storm at sea. No poetry accompanies Tempesta, but one can easily hear the fierce, howling winds, eddies of water, crashing waves, and both pelts and sheets of rain right from the first phrase. It would not be hard to imagine what inspired Vivaldi, even in the absence of a title. The second movement is perhaps the daze of the sailors after getting walloped by a wayward sail. The final movement seems to depict the travails of a tattered ship, returning home to awkward five-bar phrases, as the storm throws its final windy punches. The Concerto Grosso, Op. 4, no. 11 from the hugely influential collection L'estro Armonico (Harmonic Inspiration) features a solo group of two violins and cello with orchestral string accompaniment. This piece was later reworked into an organ concerto by none other than Johann Sebastian Bach. (Bach actually reworked six of the twelve concertos from L'estro Armonico.) The 18th century composer and Oxford scholar William Hayes wrote of this oft copied and discussed concerto, in 1753: “In the eleventh of his twelve concertos, opus 3, he has given us a specimen of his capacity in solid composition... [I]n the above concerto is a fugue, the principal subjects of which are well invented, well maintained, the whole properly diversified with masterly contrivances, and the harmony full and complete.” There is no programmatic underpinning here—just, as Hayes wrote, solid counterpoint and harmony, inventive string writing, and drama. Matthew Locke began his career writing dramatic music, though he later earned a reputation as a fine, yet very individual composer of instrumental music. In 1660, he was named “Private Composer-in-Ordinary to the King” for Charles II, who had just been restored to the throne after eleven years of the English Interregnum following the English Civil War. During the 1660s, Locke wrote much music for the London stage. In 1665, along with the entire court, he moved to Oxford to escape an episode of the plague, and there began an association with Oxford University that resulted in much of his sacred music. Of his fiercely English style, Locke wrote: “I never yet saw any Forain Instrumental Composition worthy an English mans Transcribing." His music contains strong dissonances and irregular phrasings (such as the ethereal Curtain Tune that opens the album) that sound at once uniquely Restoration-era—tumultuous music for a tumultuous time in English history—and distinctively quirky. He wrote his Incidental Music for 'The Tempest' to be performed as a part of a revival production of William Shakespeare's play. Thus, this music fits into the context of an already complete dramatic production, rather than telling a narrative itself. In this sense, it is one step more abstract than Vivaldi's Tempesta. Christopher Simpson was born into a (possibly high profile) Catholic family in Yorkshire in the first decade of the 17th century. Simpson fought for the Royalists during the English Civil War. After the war he was given refuge at the manor of Sir Robert Bolles, and employed as a tutor to Bolles' son John. Simpson remained at the Bolles' home for the rest of his life. Simpson's tutor The Division Viol remains to this day a staple of instruction and scholarship for the viol family, and his Compendium of Practical Music was a standard guide to composition, published in 1667. Simpson's The Seasons and The Monthes are both scored for treble and two bass viols with basso continuo, and were passed down to us only in manuscript form. The writing is characteristic of fine middle Baroque English music, with imitative and polyphonic writing set into traditional English forms the Fancy (or Fantasy/Fantasia), the Galliard (a rustic dance), and an Ayre (a song). Simpson's Winter is more conservative harmonically and dramatically than Locke's writing in The Tempest. The instrumentation, with three low-range lines to one treble, allows for a regal and varied texture, and the effect is like that of a tapestry, with simultaneous scenes taking place. This working of the seasons, therefore, is much less programmatic and more abstract than Vivaldi's very vivid, directional, and nearly narrative work, or Locke's writing of incidental music for a play. The listener is left to garner his or her own interpretation. James Oswald was Scotland's foremost 18th century classical composer. Born in Crail, Scotland in 1710, his style seems to defy categorization. To modern ears, his writing may sound like traditional Scottish fiddle music, but in fact he was considered to be a classical composer of Italian style chamber music—but, one who borrowed and incorporated the local Scottish flavor into his work. (This is distinct from, for example, the famous Scottish fiddler Neil Gow, who operated completely within the traditional fiddle world.) Oswald's work seems nearly to foretell an early form of romanticism. In 1761, Oswald became Chamber Composer to George III. Oswald's Airs for the Seasons contains 96 musical portraits, divided into two complete sets of four seasons. Each piece is like a still life of a local species of flower of tree, organized into its associated season. The writing is sweet and nostalgic, and frequently breaks into pure fiddle playing. At the height of his career, Dietrich Becker was Kapellmeister at the court in Hamburg, and one of the most important violinists and composers in Germany. He published his collection Musikalische Fruhlings-Fruchte (Musical Spring Fruits) in 1668 and dedicated it to the Hamburg City Council. Though there is no specific programmatic narrative, these works were perhaps more an effort to maintain political favor by expressing an appreciation for the city that employed him. The Sonata à 3 indeed has a fresh and springlike nature, with extended sequential writing in the middle seeming to imply awakening and blossoming. While this music is surely less programmatic in nature than many of the other works on tonight's program, one might still appreciate these sweet little morsels that signify a welcome spring after a long winter season. Elizabeth Blumenstock - Widely admired as a Baroque violinist of expressive eloquence and technical sparkle, Elizabeth Blumenstock is a long-time concertmaster, soloist, and leader with the Bay Area's American Bach Soloists and Philharmonia Baroque Orchestra, and is concertmaster of the International Handel Festival in Goettingen, Germany. In Southern California, Ms. Blumenstock is Music Director of the Corona del Mar Baroque Music Festival. Her love of chamber music has involved her in several accomplished and interesting smaller ensembles including Musica Pacifica, Galax Quartet, Ensemble Mirable, Live Oak Baroque, the Arcadian Academy, and Trio Galanterie. An enthusiastic teacher, Ms. Blumenstock teaches at the San Francisco Conservatory of Music, the American Bach Soloists' summer Festival and Academy, and the International Baroque Institute at Longy. Ms. Blumenstock plays a 1660 Andrea Guarneri violin built in Cremona, Italy, on generous loan to her from the Philharmonia Baroque Period Instrument Trust. Tyler Lewis received his B.A. from the San Francisco Conservatory of Music while under the instruction of Bettina Mussumeli. Specializing in baroque music, Tyler has appeared in groups such as Philharmonia Baroque Orchestra, American Bach Soloists, LOBO, Santa Rosa Symphony, Marin Symphony, San Francisco Chamber Orchestra, and has performed at Festival Del Sole in the Napa Valley and St. Paul International Chamber Music Festival. Tyler Lewis has appeared in master classes with Robert Mann, James Greening-Valenzuela, Zaven Melikian and has had solo appearances with Contra Costa Wind Symphony. During the spring, Tyler is an evaluator for the Music Teachers Association of California’s merit program and runs a year round private violin studio located in Santa Rosa, California. With his spare time he enjoys nights under the stars with a telescope, practicing the art of Lapidary, cooking, and racing motorcycles. Maria Caswell studied violin & Historically Informed Performance at New England Conservatory in Boston, Massachusetts. She is a founding member of Philharmonia Baroque Orchestra. In addition to Philharmonia, Maria has performed with American Bach Soloists, Jubilate, Santa Rosa Symphony, & Magnificat, among others. She is a member of VOT (Very Old Time) Music, a quintet based in Sebastopol, California. In addition she is is an active violin & viola teacher. She lives near the tiny hamlet of Occidental in Sonoma County with her family, two cats, a goat with a Facebook page, & her beloved teapot. Phebe Craig - Harpsichordist Phebe Craig spent her student years in Berlin, Brussels, and San Francisco. She has earned a reputation as a versatile chamber musician and recitalist and has performed and recorded with many early music ensembles and soloists. She has appeared at the Carmel Bach Festival, the Regensburg Tage Alter Musik, and early music festivals and events throughout the United States. She has performed with the New York State Baroque, American Bach Soloists, Arcangeli Baroque Strings, and Concerto Amabile. Phebe has produced a series of early music play-along CDs and is co-author of a guide to Baroque dance for musicians (Dance at a Glance). She is on the faculty at the University of California at Davis where she teaches harpsichord and co-directs the UCD Baroque Ensemble, in addition to keyboard proficiency, theory, and ear-training. She has also been director of the Baroque Music and Dance Workshop that is sponsored by the San Francisco Early Music Society. William Skeen plays principal cello in Philharmonia Baroque Orchestra, American Bach Soloists, Portland Baroque Orchestra, Musica Angelica, Pacific Music Works in Seattle, Pacific Baroque Orchestra in Vancouver, and the Bach Collegium of San Diego. In addition to performing with almost every baroque orchestra on the west coast, he is Associate Principal cellist and Viola da Gamba soloist with the Carmel Bach Festival. Mr. Skeen is a sought-after chamber musician. He co-founded the New Esterhazy Quartet, La Monica, and is a member of the 54th Annual Grammy-nominated ensemble, El Mundo. He has performed with the National Symphony of Mexico, the LA Philharmonic, and the Dallas Symphony, and often tours the Americas with Musica Angelica, the Wiener Akademie of Vienna, and actor John Malkovich. Mr. Skeen is Adjunct Professor of Baroque Cello and Viola da Gamba at The University of Southern California, founder and co-director of the SFEMS Classical Workshop, and is on the faculty of the American Bach Soloists ACADEMY, and the SFEMS Baroque Workshop. William holds a Bachelor of Music degree from the Cleveland Institute of Music, working with Alan Harris, and a Master of Music degree from U.S.C., studying with Ronald Leonard. Aaron Westman is in demand as both a period violinist and violist. He has performed as a soloist and chamber musician with Agave Baroque, American Bach Soloists, El Mundo, Ensemble Mirable, Live Oak Baroque Orchestra, Musica Pacifica, Seicento String Band, Seraphic Fire, and The Vivaldi Project. As a principal player, Aaron works with ABS, Berkeley West Edge Opera, Bach Collegium San Diego, Los Angeles Master Chorale, Musica Angelica, Magnificat, New Hampshire Music Festival, and Pacific Bach Project, and he also performs regularly with Orchester Wiener Akademie and PhilHarmonia Baroque Orchestra. 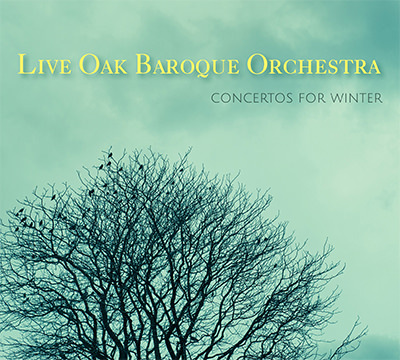 Aaron co-directs the award winning chamber ensembles Agave Baroque and Live Oak Baroque Orchestra. He has recorded for Hollywood, and on the Dorian/Sono Luminus, VGo Recordings, NCA, and Philharmonia Baroque Productions labels, as well as live on KPFK (Los Angeles), WDAV (North Carolina), BBC, ORF (Austria), and as a soloist on NPR’s Harmonia and Performance Today radio programs. Aaron tours extensively worldwide, including with two projects starring the actor John Malkovich. Aaron holds a Master of Music from the Indiana University School of Music, where he double-majored in viola performance and early music. His teachers included Stanley Ritchie, Alan de Veritch, Theodore Arm, and Geraldine Walther. For three years, Aaron taught baroque strings at CalArts, near Los Angeles. He is currently Music Director of the Santa Rosa Symphony’s Young People’s Chamber Orchestra.